1.Built-in PWM solar charge controller. 5.Full automatic and silent operation. 10.Three-steps intelligent charging control to recharging. 11.LCD display, audible and visual alarm. 12.Mains/solar output priority level for the customer to choose . 13.Mains/solar/ mains & solar charging three mode of prioritiesfor the customer to choose. 14.Built-in with 10 or 20 Amp charger for up to 200Ah battery. Protection for low battery voltage,overload,output short circuit and overtemperature restrain surge interference,eliminate noise,protection for thunderstriking,provide the reliable power to the home appliances. Modified sine wave is relative to the sine wave, and now the output waveform of the main inverter, that is, to correct the sine wave. 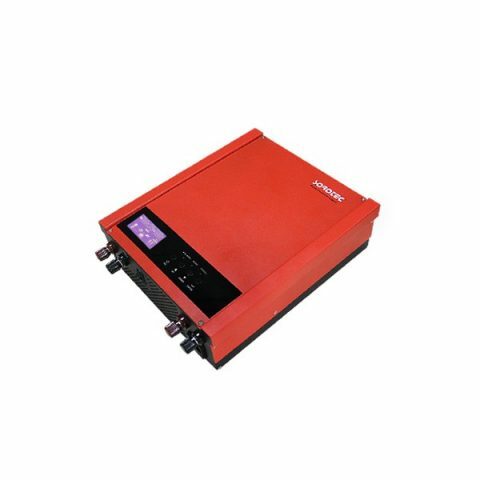 Inverter waveform is mainly divided into two categories, one is the sine wave off-grid solar power inverter (that is pure sine wave inverter), the other is square wave inverter. Modified sine wave inverter output is the same as our daily use of the power grid, like even better sine wave alternating current, because it does not exist in the power grid of electromagnetic pollution. Square wave off-grid solar power inverter output is a poor quality square wave alternating current, its positive maximum value to the negative maximum value almost at the same time, so that the load and the off-grid solar power inverter itself caused severe instability. At the same time, the load capacity is poor, only 40-60% of rated load, not with inductive load. If the load is too large, the three harmonic components contained in the square wave current will increase the capacitive current flowing into the load. In view of the above shortcomings, in recent years the modified sine wave (or modified sine wave, sine wave, analog sine wave and so on) inverter. The output waveform from maximum positive value to negative to the maximum between the value of a time interval, the effect of improved, but modified sine wave waveform is still composed of line, still belongs to the category of square wave, the continuity and dead zone exists. The modified sine wave inverter is generally used for the non isolated coupling circuit, while the pure sine wave off-grid solar power inverter is designed by isolation and coupling circuit. Its price is also a lot of difference. 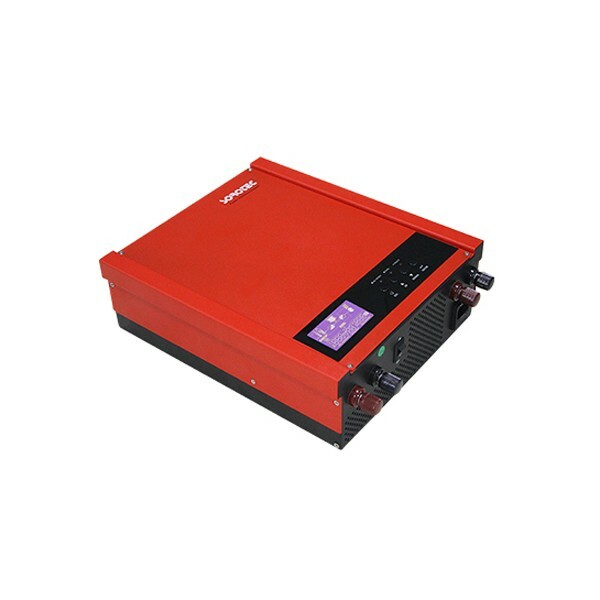 Modified sine wave switching inverter power supply, not only eliminates the cumbersome power frequency transformer, but also greatly improve the efficiency of the inverter 90%. Modified sine wave switch mode off-grid solar power inverter power supply with PWM mode generates a modified wave output, in the inversion process, due to the use of a specialized intelligent circuit and high power field effect tube, greatly reducing the power loss of the system. 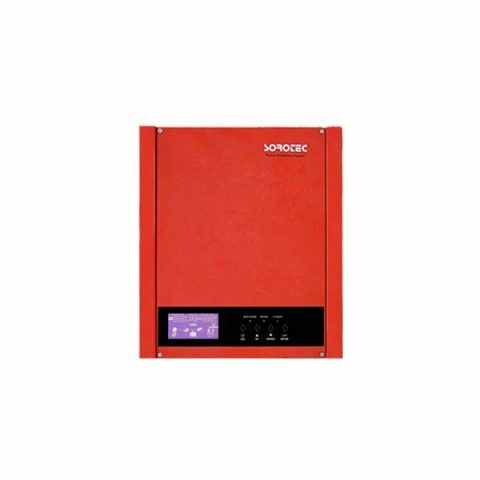 And the soft start function is added to ensure the reliability of the modified sine wave inverter. If the power quality requirements are not very high. And it can meet the most demand for electrical equipment, but it still exists 20% of the harmonic distortion, the problems in the operation of precision equipment, also can cause high frequency interference to the communication equipment.